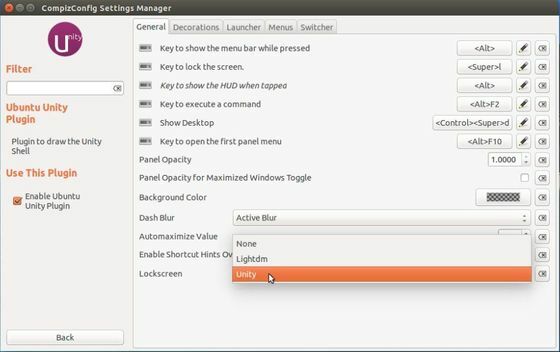 Ubuntu 14.04 Unity now has its own screen locker which looks identical to the LightDM greeter – the default Unity login screen. For those who prefer the previous lockscreen used in Ubuntu 13.10 and earlier, here’s how to switch it back. The new lockscreen, light-locker, is forked from gnome-screensaver that aims to have simple, sane, secure defaults and be well integrated with the desktop while not carrying any desktop-specific dependencies. 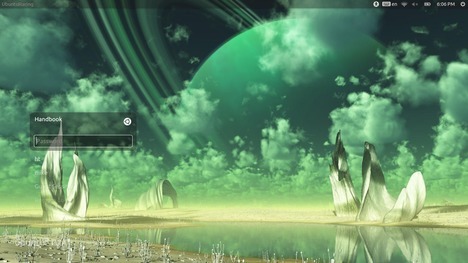 If you would like to try this lockscreen in Ubuntu 13.10 or Ubuntu 13.04, see this post. UPDATE: The option has been removed in Ubuntu 14.04 final release. So this tutorial won’t work anymore. After that, start CCSM from Unity Dash and navigate to Ubuntu Unity Plugin -> General -> Lockscreen. Click on the drop-down box and select which screen locker to use. It seems this option has been removed from the latest Unity in 14.04… anoying!